If your iPhone or iPad is crashing or freezing, or suffering from unknown problems, you may wonder how to reset your iPhone, so a system reset may help you resolve such issues. A system reset is also referring to factory reset, which enables you to wipe the content of your iPhone or iPad. It’s very useful both for fixing misbehaving or protecting personal information by wiping them out of your phone. Here’s how to do a system reset on your iPhone. If you are looking for how to reset iPhone, with the iPhone system Reset options, you have the ability to wipe every content right on your iPhone or iPad especially when your iPhone is misbehaving or you went to just sell it off. Especially when you are going to sell it or give it away, your best bet is perform an complete iPhone system reset, which is safer than normal reset by erasing all your personal information permanently with 0% recovery. Here’s the iMyFone Umate Pro for Windows or iMyFone Umate Pro for Mac iPhone Data Eraser can help. 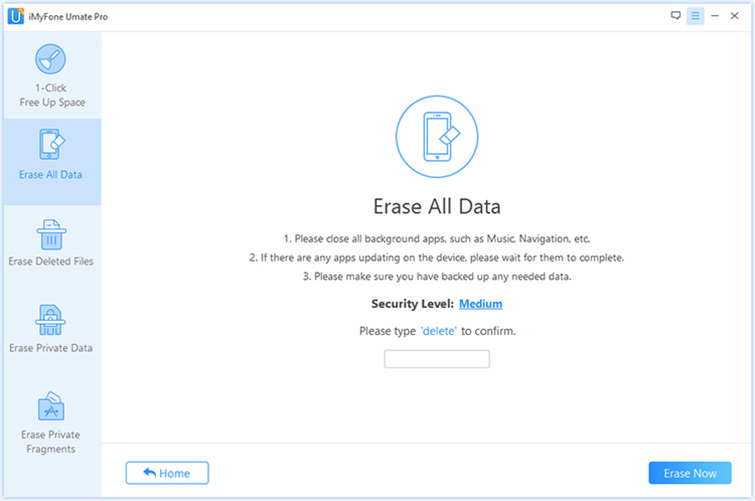 iMyFone Umate Pro is the ultimate iPhone data eraser, a tool that allows you to delete data completely that you want to protect even from third-party. It is your best bet to use this software thanks to its key features and professional technology. In case you don’t know how to do an iPhone System Reset, just read on. 4 Modes for wiping your data safely and more importantly permanently. It allows you to Preview and Select the Private files you want deleted. It can even preview and make your already deleted data / files totally unrecoverable. The tool can also erase private fragments for Third – Party Apps. 3 Erasing levels for different needs to erase data completely. 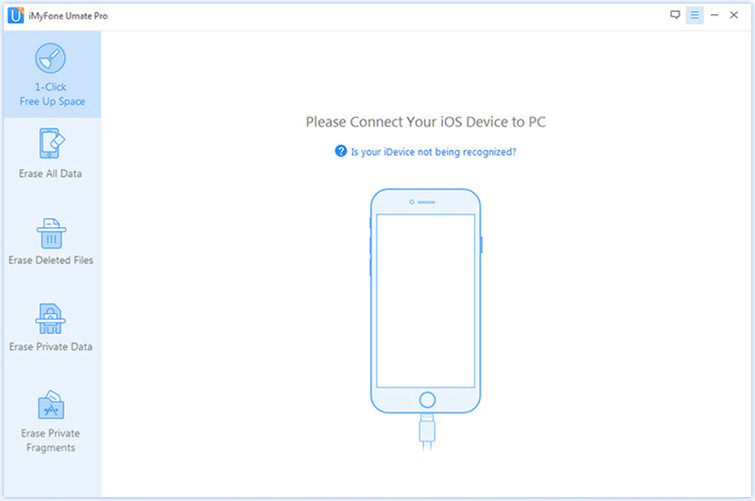 The first step involves connecting your iPhone to your PC that’s after you’ve downloaded the tool. The next thing to do is to choose the ‘Erase All Data’ tab. Next, click the ‘Erase’ button. Confirm your choice to delete by typing “delete” into the box. 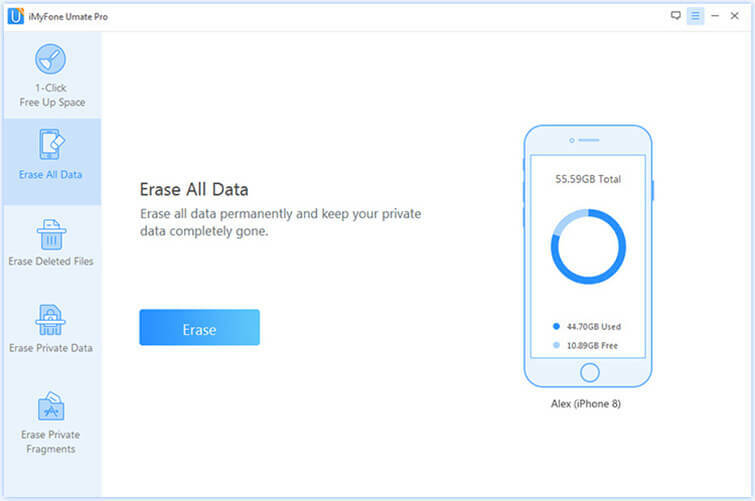 You can now click the ‘Erase Now’ button to erase all data on your iPhone completely. This mode helps secure privacy by shredding sensitive data such as messages, call logs, photos, videos, etc. Preview and selectively erase personal data reliably like it never existed. This mode helps you securely delete recoverable files. It allows you preview your deleted files first and erase them permanently. This mode helps to wipe incomplete fragments that are stored on your device no thanks to some Third – Party Apps. If you don’t think a complete iPhone system reset is necessary and safe for your, you can choose to do a normal iPhone system reset from your iPhone settings directly. It is also an effective way of resetting your iPhone. Going back to the basic way of resetting your iPhone, here are steps in detail on how to reset your iPhone. Step 1:The first thing to do is go to “Settings” on your phone, then go to “General”, next, scroll down till you see “Reset”. Step 2: Secondly, click on Erase All Content and Settings. Step 3: Next would be entering your Apple ID Password. Step 4: Confirm your choice to erase data. This process can take minutes to complete. After this is done, you will see the ‘Welcome Screen’ asking you to continue. It is important to know just as I’ve stated before that using the reset from the settings is not advisable because even though this would clean up your iPhone, the data cleaned can still be recovered, instead you should use the iMyFone iPhone Eraser as this tool can clean up your device, deleting data and making them unrecoverable. So, I’m sure you do not only understand that there are two ways to do an iPhone system reset, you’ve also learned how to use these two to reset your phone and more importantly, you’ve learnt that it is better to use a tool that do not only delete data but makes them unrecoverable.